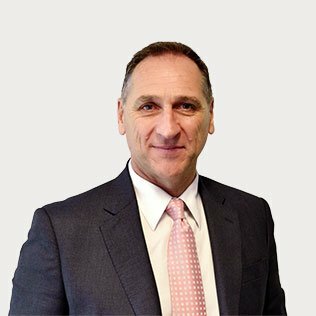 Sam commenced his Professional career in 1985 with a Public Accounting firm in Melbourne’s north where he became a SeniorTaxation and Business Advisor after completing his CPA Programme in 1991. After 14 years in Public Practice Sam accepted a role as CFO and General Manager role of a CBD based Advertising and Design Firm where he became a major shareholder. In addition to growing the business he successfully negotiated the merger of the firm, and was involved in all aspects of the transaction thus ensuring a smooth transition for both the vendors and purchasers. In 2003 he accepted the position of CFO and General Manager of a privately owned Australian Engineering and Manufacturing Firm that specialised in Laser Cutting and Metal Fabrication. As well as being responsible for all Financial and Taxation matters, Sam was actively involved in the day to day operations of the firm including driving productivity gains and improved profitability, developing and implementing a Strategic Business Plan, and finally establishing a Tax Effective Succession Plan for the owners who wanted to exit the business after 30 years. Prior to joining Collins House as a Director, Sam was engaged as a Senior Tax Manager in the Business Services Division of Chartered Accounting firm Smith Peacock Henshaw, to oversee the Succession Plan for one of the Senior Partners. Sam provides hands on Taxation Advice to Executives of medium to large sized firms , Administration of Self Managed Superannuation Funds and Succession Planning for small to medium size enterprises.